I’ve been hearing about Wako Donkasu for years. I knew about the Olympic location but recently discovered there’s a second location near Jjukku Jjukku and Boiling Crab in Koreatown. 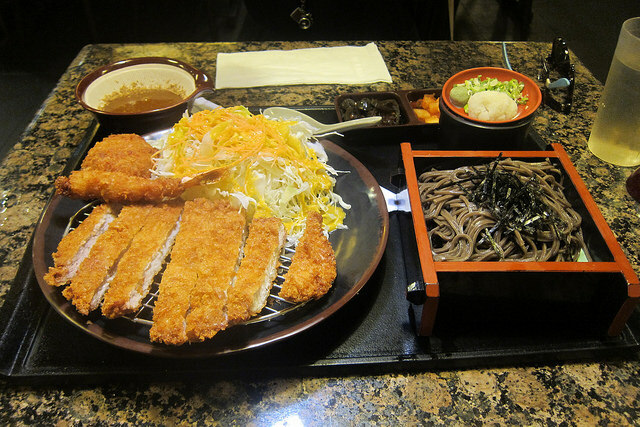 Getting the Korean version of the Japanese classic tonkatsu sounded great to me. 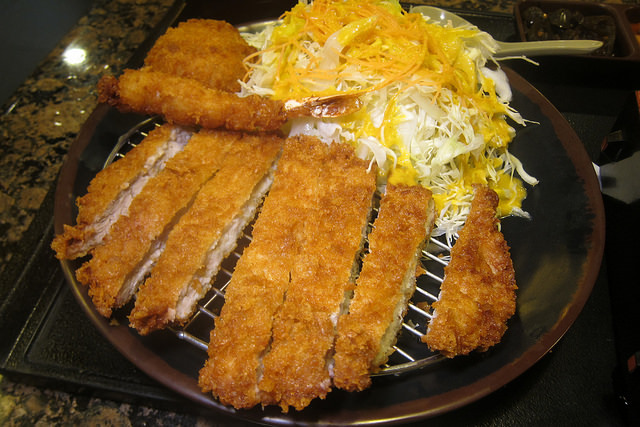 I always get pork but you can get over lovely deep fried proteins like chicken. What sets Wako apart from a more traditional Japanese place is you get to grind your own sesame seeds before a server will ladle out some tonkatsu sauce for you. I am used the slightly sweeter Japanese versions so it was cool to get a nutty, seemingly healthy sauce. The breading was light and not at all greasy. I thought it was kind of hilarious they also threw in a potato croquette and shrimp. I shared this combo with a friend and it was just enough for the both of us. I also liked the dressing on the cabbage salad. 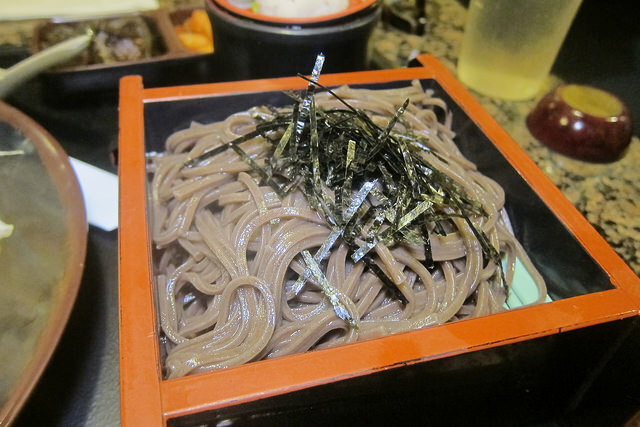 For a side, we chose the cold soba. I would have preferred rice but soba works. Sadly this was a bit overcooked so the noodles were a little flabby. So if the line is too long to get into Boiling Crab and you’re burned out on KBBQ, try this treat. How often do you get something deep fried and feel healthy about your choice for dinner?